LOS ANGELES—Sources close to the Lone Ranger and Pirates Of The Caribbean star confirmed Monday that unless Johnny Depp is playfully keeping his balance while wobbling along the length of a ship’s mast or comically teeter-tottering across a rolling log floating in water, he is now physically unable to walk without falling over. “The other day we were walking in the city, and he must have lost his balance and fell down 60 times, but as soon as various sections of the ground broke apart underneath him and started swaying back and forth, well, he flailed around a lot and made some wide-eyed, funny facial expressions, but he didn’t fall down once and made it across unharmed,” said a close friend, adding that because of the injuries Depp has sustained while trying to walk on stable ground, the actor now prefers the tops of moving trains to sidewalks. “And if he ever runs, he has to first be chased by an angry mob of some kind and, secondly, be inside a giant wooden wheel that he’s moving forward with his own momentum. 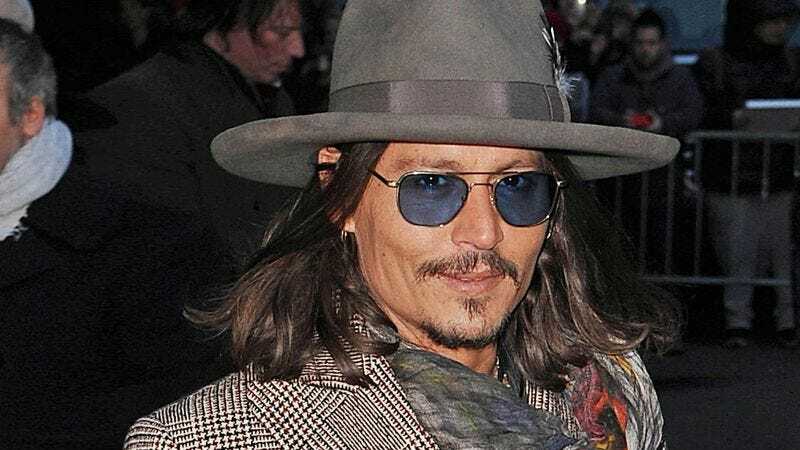 Otherwise he will fall flat on his face.” Sources who work at Depp’s Los Angeles residence told reporters that the actor almost broke his neck attempting to exit his home last Monday and now only mischievously swings on chandeliers to get from his bedroom to the front door.